The Department of Public Safety has several components: University Police, Investigations/Crime Prevention, Parking Services, Key Control, Transportation Services, Fire-Life Services, Lock Shop, Emergency Preparedness and Security of Records. All sections of the department work toward the same goals to ensure that the campus is a safe place to study, teach, work, reside and visit. The department utilizes a proactive approach that includes crime prevention and safety programs available on a continuing basis. Homeland Security - Critical Infrastructure Sectors. 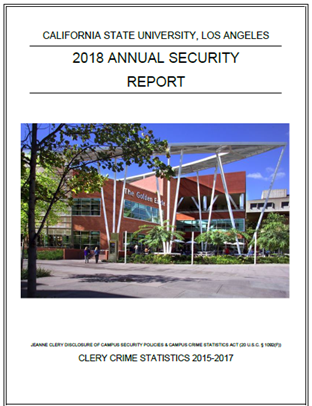 The 2018 Annual Security Report (Clery Report) is now available.